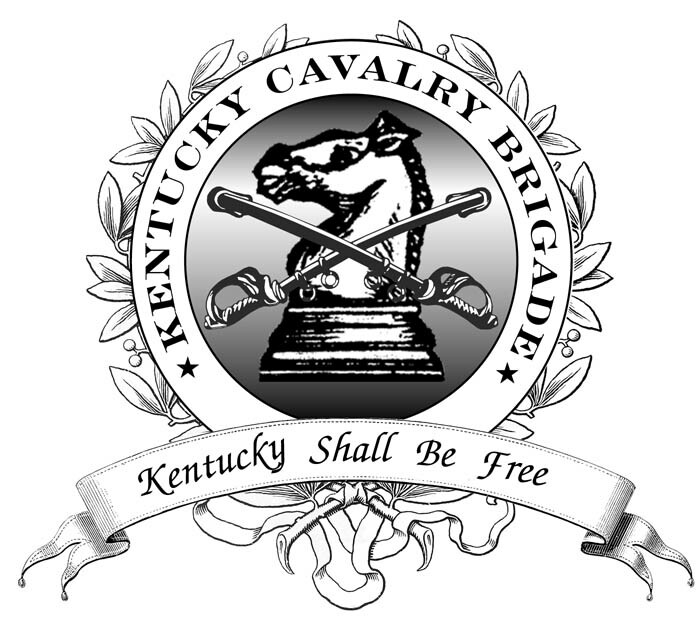 The olive leaf victory laurel is supported by the Kentucky Cavalry Brigade. Kentucky Cavalry Brigade is flanked by 2 stars representing both the Confederacy and the Union. The field of the seal contains the knight's chess piece, representing both the chivalry and the nobility of the boys from the Bluegrass. It also indicates that the Kentucky Cavalry Brigade is an important piece in the game of war. The crossed sabers protect the horse and are the official symbol of the cavalry service. The motto, "Kentucky Shall Be Free!" in the banner indicates the view of both sides during the War. It was a motto which historically adorned many early war Southern banners.